Short Breaks Special, 20% off dining and spa + breakfast + Late check-out - Anantara Sir Bani Yas Island Al Yamm Villa Resort. Book a minimum two-night stay to receive a wealth of indulgent rewards at Anantara Sir Bani Yas Island Al Yamm Villa Resort. For worldly guests, a stay at Anantara is just one more chapter in a lifetime of travel and exploration. 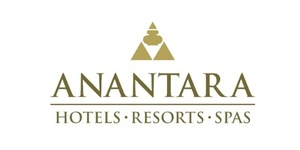 The Anantara experience was born in 2001 with their first luxury property in Thailand’s historic seaside retreat of Hua Hin. From that day forward, they expanded throughout the world to cosmopolitan cities, lush islands, desert sands, heritage destinations, uncharted beaches and contemporary resort destinations. Their thoughtfully designed luxury hotels and resorts provide windows into the genuine modern character of each destination. Inside and outside each property travelers engage with the places, people and stories that make the destination like nowhere else in the world.